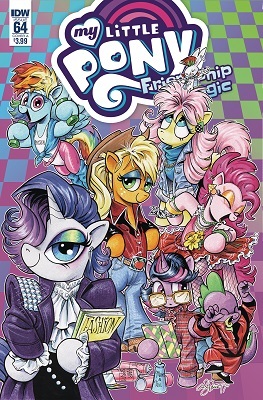 This book is in My Little Pony : Friendship is Magic (2013 Series). Fluttershy and Rarity travel to Manehattan where Rarity is shocked to discover old ugly fashions are back in style! Can Rarity find a way to push her creative instincts past... the past?